There are many bluestacks alternative present in the market, but do you know which exactly is good for you ? Were you searching for software like bluestacks for PC ? You need not worry as I have got you covered. Here is the comprehensive article where you would know everything about the top best bluestacks alternative present. In this awesome listing of prime software that are alternative to bluestacks, you will find detailed description of all the applications which are like bluestacks. All android emulator mentioned here, allow you to test android apps on different devices and different android version. In the below section I have discussed about the software that are prime alternate software for bluestacks. I have made sure that this list is the all in one list. You can be sure that after going through this article for top best bluestacks alternative, there would be no need to search anywhere else. This is the first android emulator that I would be discussing here. It is light weight and easy to use BlueStacks alternative android emulator app. 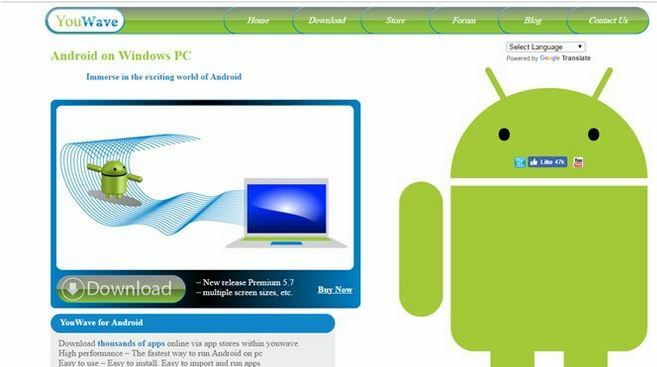 It also allows you to download and install any of your favorite android app on your PC. AMiDuOS comes in two different versions – Lollipop and Jellybean. As we say nothing comes that easy, this is not a free software .The Lollipop version costs $15 while Jelly Bean is priced at $10. This is a one-time charge. But the best thing is you have a 30 days period to try both versions for free before you need to decide if you’re buying or not. Andy is one of the most widely used and popular software that is used in the place of bluestacks. This is reliable application for PC. You can easily use this to run android apps on your windows or MAC PC. The best part about the android emulator is that it is user friendly and easy to use software. I just love the fact that I can easily control it using my smart phone. Hence it is pretty useful as software like bluestacks for pc. The main reason behind its popularity is that it is completely free bluestacks alternative to use and there are no adds. Andy Android Emulator is compatible with most of the android games as well. As a result, you can easily use this application as an alternative to bluestacks without any worries. Nox app player is mostly used by PC gamers. Each and every functionality that they have included in their software is purely for gamers. 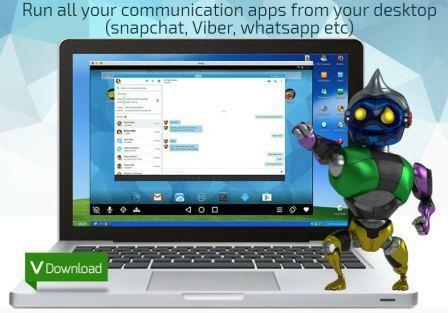 You can run your favorite android apps on your windows or MAC PC. It’s easy to use and user friendly interface along with the compatibility with gaming pad makes it a one stop solution for PC gamers who look for bluestacks alternative. While bluestacks would work slow on the lower configuration end, but with NOX there is nothing like that. It’s way faster and it will run seamlessly. They have perfect Android emulator to play mobile games on PC which is NOX Player 6. Youwave is yet another very amazing Android emulator and a great Bluestacks Alternative. I personally liked that, there is any option to save each and every data file. This option lets us search any desired file wherever we have kept the same. This is comparatively new software, hence it is only available for windows users. They claim to have The fastest way to run Android on pc . Easy to use – Easy to install. Easy to import and run apps. Since they are new, they have no released any of the free versions apart from that they have given a trial period for certain time initially. One more disadvantage of using Youwave is that there is no support for Google Play Store. This is another powerful Blustacks alternative app. The developers have designed this for professional use than the personal usage. The best part that every one likes is that, it is completely free bluestacks alternative to use. Genymotion has some of special features where app developers can test the beta version of their apps to make them create the error-free and powerful products. they provide three variations in their products, Indie, business and enterprise with a different set of features. Hence the bottom line is, when your purpose is more official than personal and you are ready to pay for it then only go for GenyMotion. This list would not be completed, if I do not mention KO Player. It is regarded as one of the better android emulator like Bluestacks. The main focus of this emulator is clearly in gaming. 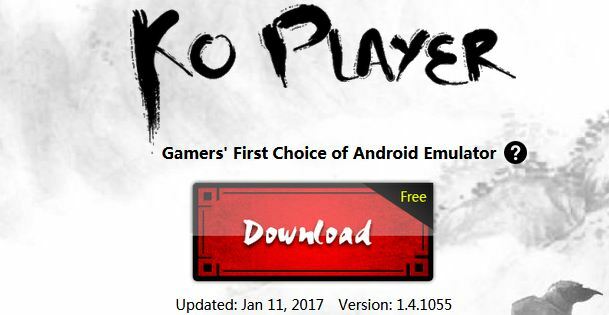 KO Player is reliable android emulator as it basically allows you to run more than millions of android apps on your PC for free. many users have acknowledged that KO Player is able to maintain a steady frame rate. It is easy to install and use on your PC or laptop. I tried using the one as an alternate to bluestacks, and ko player performed quite perfectly on the low configuration system. QEMU is one of the open source software that can also be used as an alternative to bluestacks. They have also provided the full virtualization concept. There is an option to Run programs for another Linux/BSD target, on any supported architecture. It provides multiple OS support which is beneficial for the users. QEMU also lets you Run operating systems for any machine, on any supported architecture. This is more of a virtual based system rather than plain and simple emulator. QEMU is strictly for professionals as normal users might find it hard to understand and execute. Droid4X was one of the initial level Android emulators ever to be present in a Windows environment. It lets you to run your favorite android games and apps directly on your PC. This is consider as one the robust and reliable emulator which has capability to run on basic level systems as well. The emulator is also capable of running in a MAC environment, but the installing process is a little too tedious. Droid4X also lets you to record emulator screen which will help you to record android screen while using it. You can configure your gamepad or keyboard with Droid4X to play your favourite games. Droid4X is a great alternative to Bluestacks if you’re looking for an emulator that looks good and runs fast. Hence we can say that it is one of the better software like bluestacks for pc. This is another emulator which is pretty handy. It is completely free bluestacks alternative to use and one of the best BlueStacks alternative for windows, Linux and MAC users. It had its inaugural release in 2003 as freeware for Windows. The developers claim to have compatibility with all PC controllers, turbo speed, networked multiplayer, and even more! As per the user’s experience, it is easy to install and has a user friendly interface. It is easy to be used as per the OS requirements and can be changed as per your needs. Android -x86 is also well known emulator for windows PC. They have kept it as a open source project licensed under Apache Public License 2.0. You can easily download this and install over your system to enjoy android over your PC or laptop. Initially it was build to run patches of android. Later on the developers decided to make it a full fledged software that is usable for general users. As a result I can say that for developers it is a better software like bluestacks for pc . Hi there! Do you know if they make any plugins ? Do these really work ? I have tried two of them, they do not seem to be supporting my machine. Could you please help ?????? Droid4x, is that even a legit app ?? I doubt it.. please guide.